Although Myc transcription factors have been extensively studied in the context of cancer, there has been renewed research into their roles in stem cell maintenance and embryogenesis. Myc is expressed throughout embryogenesis, but its spatiotemporal distribution has been poorly characterised. In this study, Kim Dale and colleagues sought to clarify the expression and function of Myc during early embryogenesis in mice, focussing on its role in body axis elongation and somite formation. 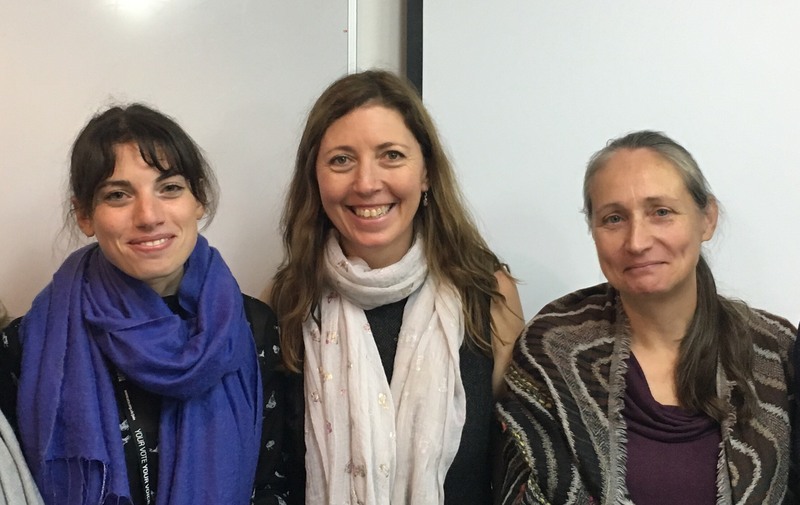 Photo (from left): First author Ioanna Mastromina with Dr Kim Dale and Professor Kate Storey.